The Las Vegas Elvis Fest (Heart of the King) is an Elvis Fans’ Festival, Convention, Contest and Concert at the LVH, Las Vegas Hotel (formerly the Hilton). The property is arguably one of the most historic locations in the career of Elvis Presley. This event is in celebration of the Las Vegas performances of the Greatest Entertainer of All Time. 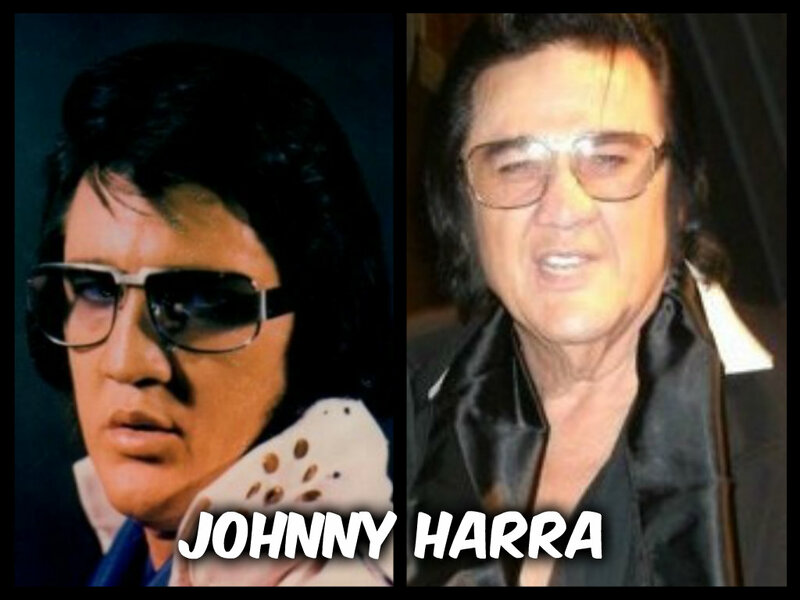 As a Johnny Harra Fan you are officially notified that due to his lifelong dedication to portraying Elvis in a most tasteful manner, for his many accomplishments as an Elvis Tribute Artist and especially for putting the Heart of the King into every performance, Johnny will be posthumously receiving the Lifetime Achievement Award on the very stage where Elvis made history at the Las Vegas Hilton during a segment in the Friday night Awards Concert on July 12th, 2013. This is also a special night for his fans that loved and supported him throughout his career. The Award will be given at the official Las Vegas Elvis Fest on Friday July 12th, 2013 at 8pm at the Heart of the King Awards Show and Concert. There will also be a ‘red carpet’ ceremony prior to the show. https://lvh-web.vegas.com/VDCWebTixsFrame/?EventCode=HotKAwardsConcert&discountcode=LVEF13 if you are ordering only tickets for the Awards show. https://lvh-web.vegas.com/VDCWebTixsFrame/?EventCode=HotKPackages&discountcode=LVEF13 if you are ordering package tickets for the festival which include the Awards show in the package. Tickets: are on sale NOW for each event individually or in inclusive money saving packages. Prior to calling the LVH visit www.lasvegaselvisfest.com for more information and if you have further questions before purchase call our Hotline at 888-406-5885 prior to contacting the LVH directly. Once you know which tickets or money saving Package you want Call (800) 222-5361 option 3 for packages 8am – 9pm pst or option 1 for individual tickets 24/7. Special LVEF Room Rates are also available to Johnny Harra Fans. Call 1-800-732-7117 mention rate code PELVS13 and you will receive rooms at an incredible savings based upon availability. Visit www.thelvh.com for more information. Remember for a limited time you can use discount code LVEF13 for a 10% discount on any LVEF ticket or package through the Hilton Box office. Some events may only be available by calling 888-406-5885. ©EPE, Reg. U.S. Pat. & Tm. Off. The Las Vegas Elvis Fest is a production of Las Vegas Elvis Fest, LLC. Produced under license from Elvis Presley Enterprises, Inc. All rights reserved. This entry was posted in Elvis, Elvis - F.Y.I., Elvis Photos, Elvis Pictures, General Elvis Stuff, Johnny Harra, Johnny HarraTribute, Las Vegas Elvis Fest- Johnny Harra To Be Honored For Lifetime Achievement Award and tagged Las Vegas Elvis Fest- Johnny Harra To Be Honored For Lifetime Achievement Award. Bookmark the permalink. Im so going to this! Thanx for posting and letting everybody know….Way To Go Johnny!! Im SOOOO there!!! Its about time Johnny Harra was honored! Fantastic news! I had heard rumors of this but now I see its more than a rumor. Its about time they honor Johnny, just wish they would do more for him considering,,,,I think they owe him this and so much more. Rock On Johnny!